Malai Sandesh whose nearest translation in English is Cottage Cheese fudge soaked in thick and sweet milk cream, is a delicious dessert. It’s a wonder that the recipe of this mouth-watering dessert is so simple. When it is a making of a dessert, most of the people are afraid of moving ahead. They think that desserts are not too easy to make or it takes more time. This recipe will change their mind. You can make it as a party dessert too, what exactly I did and everybody appreciated it. I am very much thankful to one of my friends Laxmipriya, for the idea and the recipe. It was completely new to me. What attracted me is its easiness but didn’t realize that outcome could be so impressive. 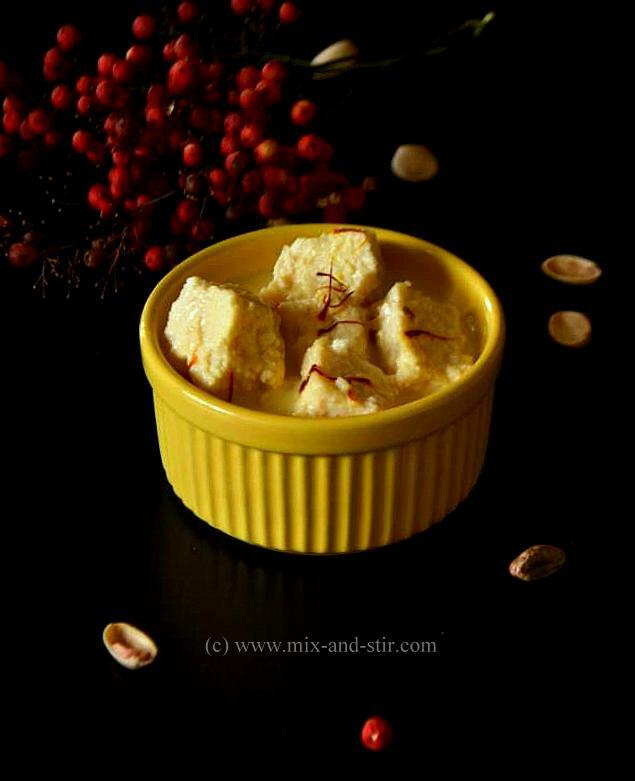 The first part of the recipe is to make the Sondesh / Sandesh (cottage cheese fudge). I used Ricotta Cheese and condensed milk but you can use home-made chenna and sugar if you wish. I avoided the home-made chenna / Paneer to make it hassle-free and I can assure you that this is nothing less yummy than the other one. 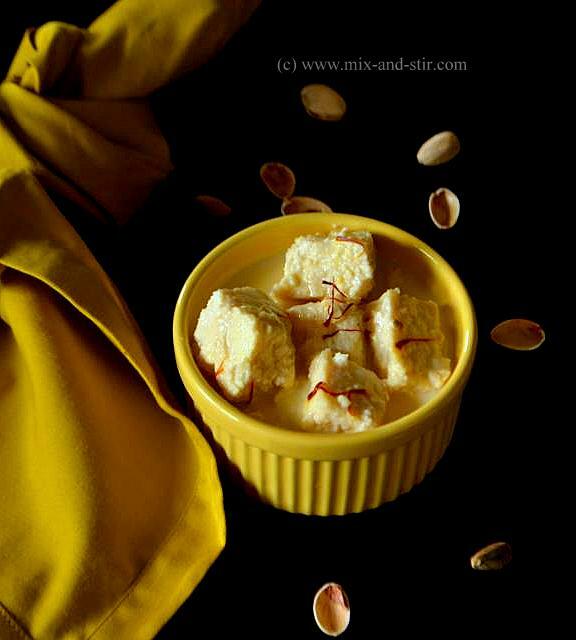 You can serve the Sandesh without the Malai (thick - sweet milk cream) as 'Steamed Sandesh' which is also a good dessert. 1. 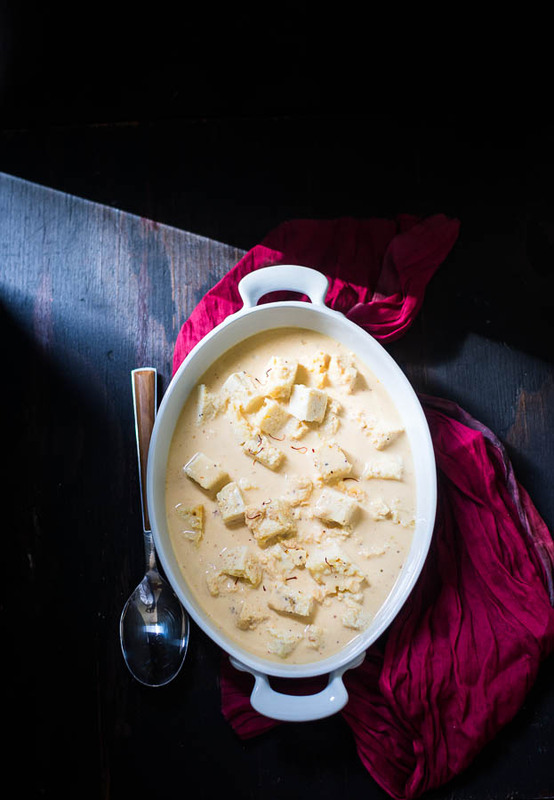 In a bowl, take the ricotta cheese and condensed milk. Add the cardamon powder and mix it nicely. 2. Grease a microwave-safe, square, baking dish. The dish should be wide. Pour the mixture into it, spread it well. 3. Cook the mixture in Microwave. After 15 minutes, check every few minutes. 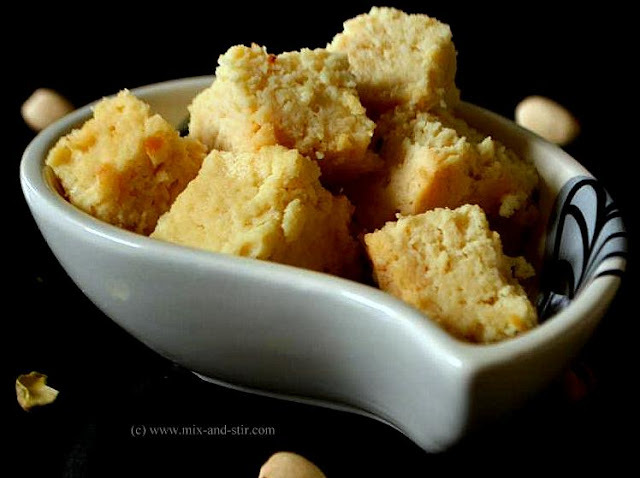 It will take about 20 to 25 minutes to make the sandesh. But the cooking time may vary depending on the wattage of your Microwave. 4. Make sure the Sandesh does not get too hard. Once it is done. first let it cool down completely. Then keep it into the refrigerator for half an hour. When it is completely cool, make some pieces with knifes. Now Sandesh is ready! It will taste or look like our 'Bhapa Sandesh'. 5. 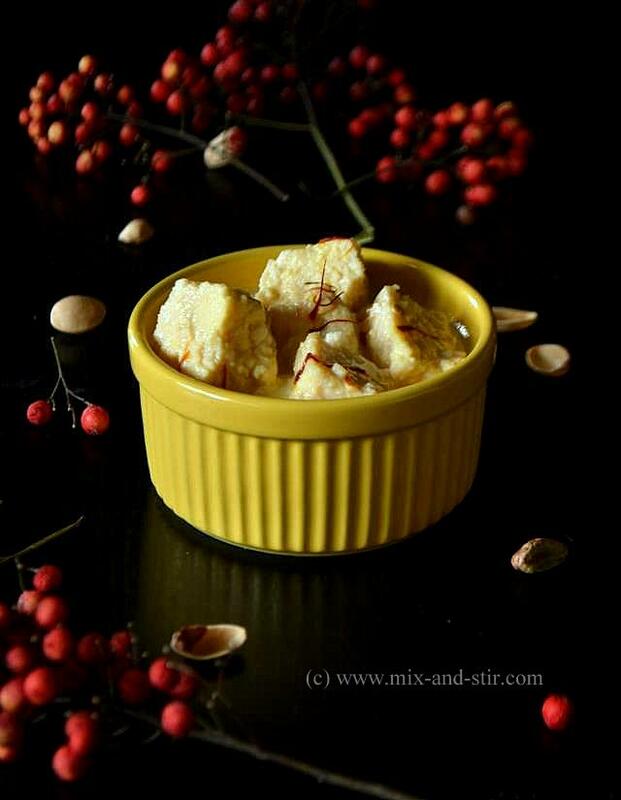 For the malai Part, in a heavy-bottomed pan take the milk, let it boil, keep the flame lower. Stir it every few minutes to avoid burning on the bottom of the pan. 6. 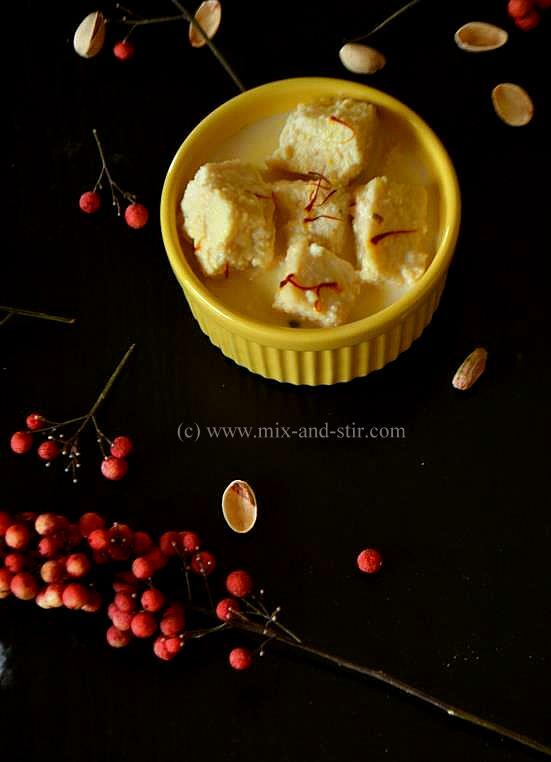 In a small bowl, take 4-5 tbsp of lukewarm milk and add the saffron strands. 7. Milk will start to thicken. When the milk becomes less than half in quantity, add the sugar. Check the sweetness and add more sugar if needed. 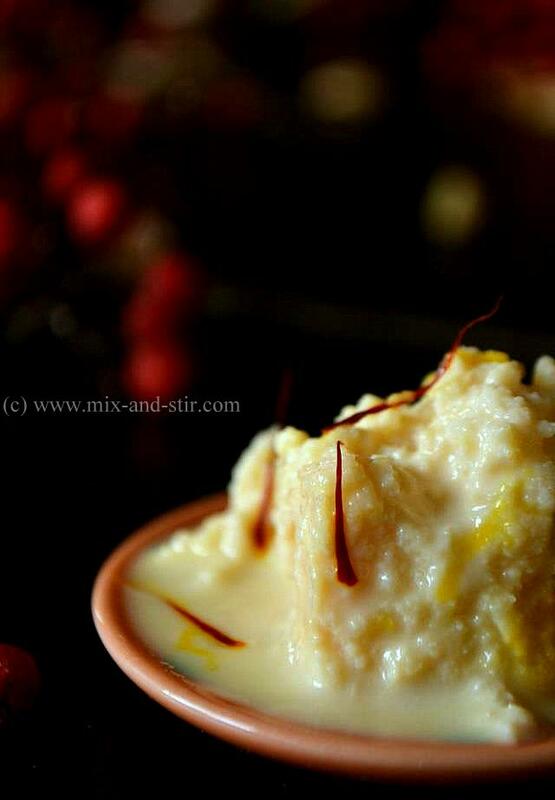 8.. Add the Sandesh pieces into the milk and then add the saffron. Let it boil for 3 to 4 minutes and turn off the gas. Let it cool down completely. Serve with a sprinkle of chopped pistachios. 9.. Note : You may use Half and Half instead of milk, it will save time. beautiful recipe... love it !